The summer Olympics only happen once every four years. Don’t just watch the Games with your kids, take the opportunity to get them interested and excited! There are so many ways to teach kids about the history, patriotism, work ethic and sportsmanship of the Olympics. You could organize your own backyard Olympics games or host a viewing party. You can also engage their brains and their little fingers with some Olympic-themed crafts! 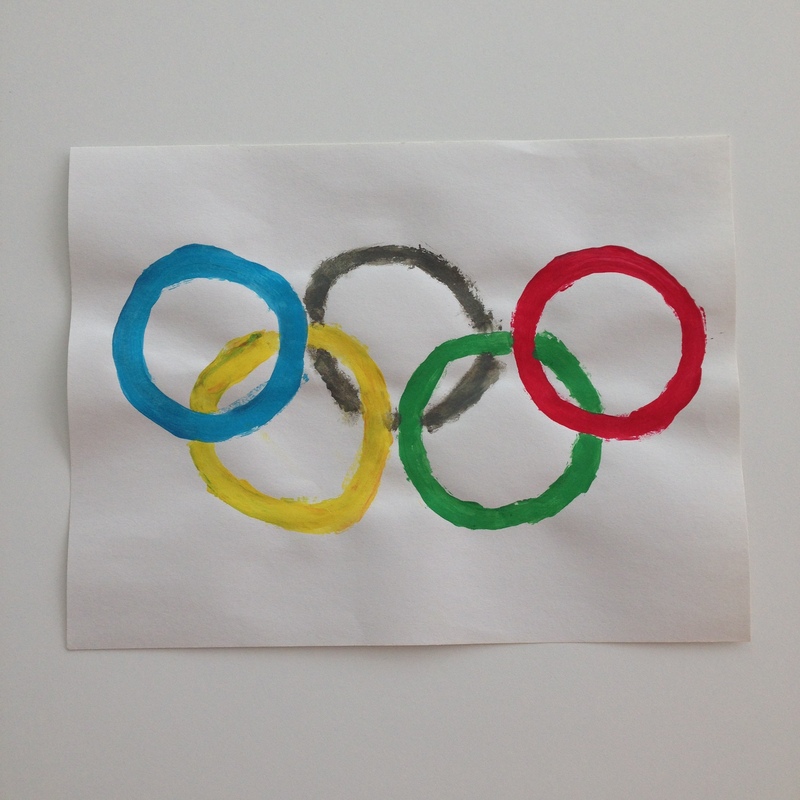 There are several ways for kids to make their own version of the Olympic rings! You could use pipe cleaners or Fruit Loops; you could even cut a pool noodle and dip the sections into paint. We went a little simpler by tracing the top of a paper cup in pencil and painting over it. Talk about the history with your kids. The Olympic rings were created in 1912. The six colors (blue, yellow, black, green, red and white) represent the colors of the flags of every country that participated in the games that year. It’s an international symbol of sportsmanship. 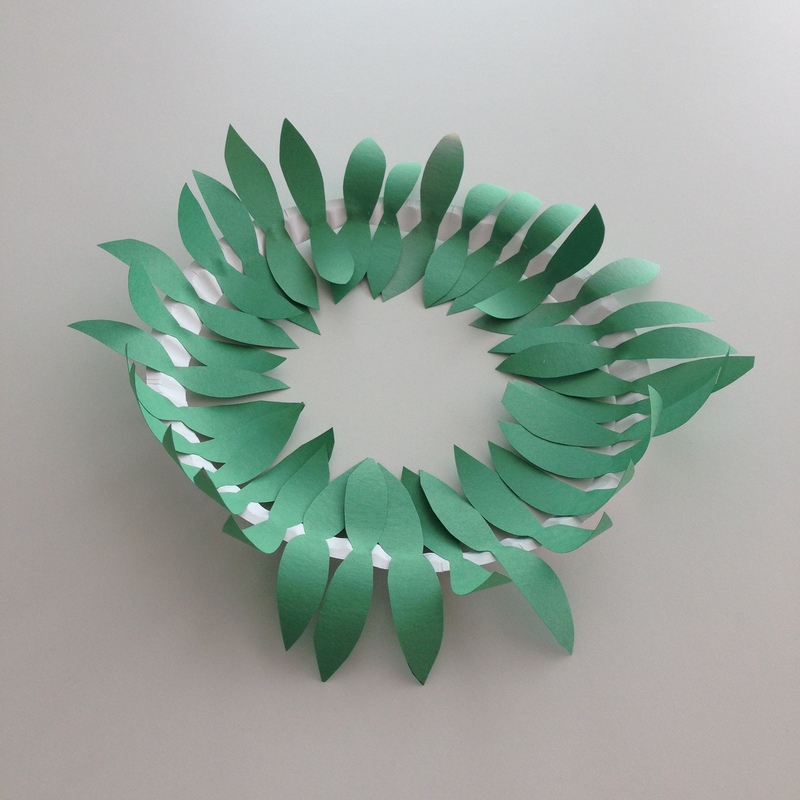 The olive wreath is fun to make. We used a paper plate as our base and cut the leaves from green construction paper. This one is easy to put together and the kiddos can actually wear it! In the ancient Olympic Games in Greece, there were no gold, silver or bronze medals. There was only one winner per event and he was crowned with an olive wreath made from leaves from a sacred tree. 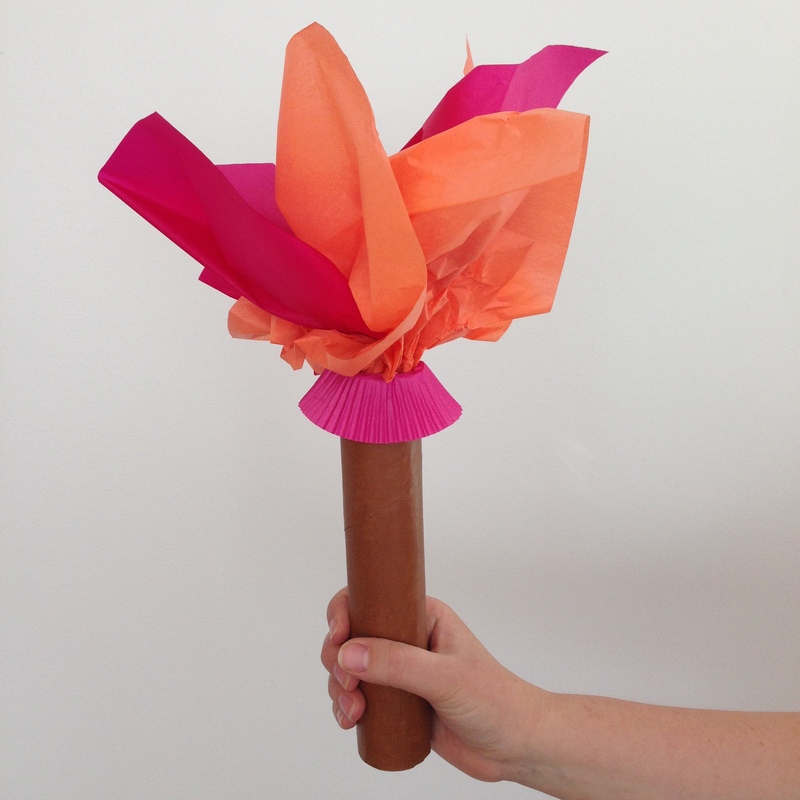 We made an Olympic torch by painting a paper towel tube and adding a cupcake wrapper and colored tissue paper. You could even include a battery-operated flameless tealight to give the illusion of a flame. Once the torch is lit, it never goes out until it is extinguished at the end of the Olympics. The person who looks after the torch is called the Keeper of the Flame. 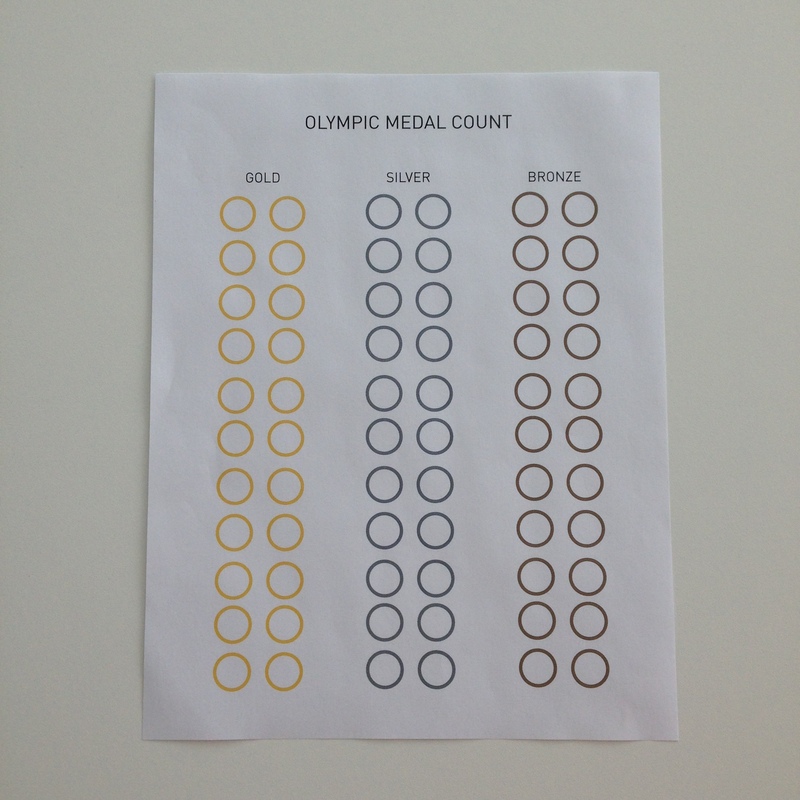 Nothing gets kids into the spirit of the Olympics like keeping a medal count! You can download and print the medal tracker we created by clicking here. Having the kids mark off the gold, silver and bronze medals for Team U.S.A. will give you an opportunity to discuss each sport, from soccer and swimming to beach volleyball and badminton. It also gives them a sense of pride in their country!